Clojure is designed to be a general-purpose language, combining the approachability and interactive development of a scripting language with an efficient and robust infrastructure for multithreaded programming. 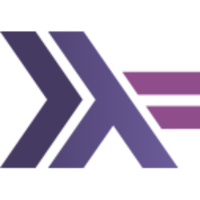 Clojure is a compiled language - it compiles directly to JVM bytecode, yet remains completely dynamic. Clojure is a dialect of Lisp, and shares with Lisp the code-as-data philosophy and a powerful macro system. Why do developers choose Clojure? Why do you like Clojure? What are the cons of using Clojure? What tools integrate with Clojure? What are some alternatives to Scala, Clojure, and Haskell? To complement Java. The REPL lets me interactively exercise Java code. I can write performant and safe libraries in Java, and then use them in Clojure. I also find the data-centric aspect of Clojure (excellent build-in structures, literal syntax for easily creating those structures, functions that act well on abstractions of those structures) good for data processing. This fits a sweet spot between Ruby and Java. We use Clojure mostly for its "Minority Report"-like interactive development in situations that require 'semi-automatic programming' (data inspection, admin tasks, API exploration, scrapers, etc.). We have also used Clojure successfully to build some components of our stack very quickly and reliably, in the backend and the frontend. just started learning clojure, maybe around two weeks or so. i'm addicted. this is what i want to be working with and learning for the foreseeable future. the elegance of the language is refreshing. the community is really amazing. i've finally found a language that fits my passion for programming. 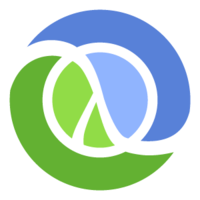 Clojure simplifies and reduces the coding efforts involved in creating CloudRepo. The fact that it runs in the JVM gives us access to all the libraries that we could ever need. Our code base is much smaller and easier to reason about than it would have been had we gone with pure Java.